There were 4 posts published in February 2019. 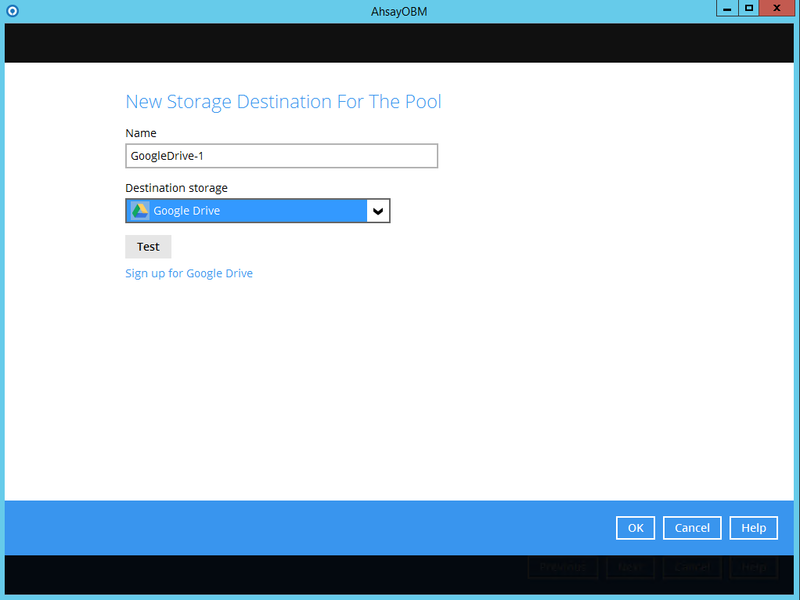 For Office 365 backup with OneDrive or Site Collections and/or Personal Sites selected as the backup source, extra memory for Java must be allocated for the AhsayCBS server application (for Run on Server backup set) or AhsayOBM client application (for Run on Client backup set) to let them run smoothly without the out of memory issue during the backup process. 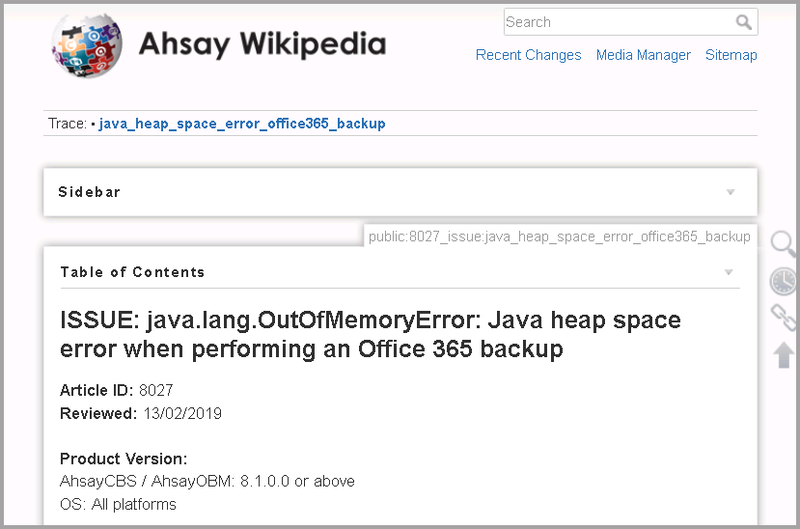 Check out how you can determine the size of Java heap space required and how to increase its value for your AhsayOBM and AhsayCBS from this Ahsay Wiki article. 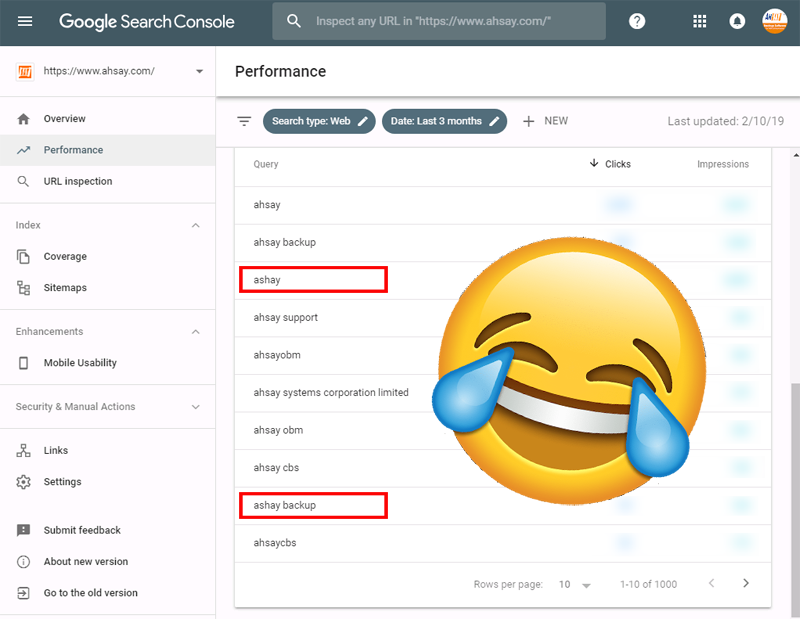 From our Google Search Console (previously known as Google Webmaster Tools), we found that a significant number of visitors were brought to our website by searching Ashay Backup instead of Ahsay Backup. After googling the word, Urban Dictionary told me that Ashay is a word used in African American culture to mean “and so it is” or amen. So, Ashay Backup means And So It Is Backup. What a nice meaning! Maybe we should register this domain too! (:-D) But too bad we can’t register the domain of Ashay.com as it’s already belonged to a media group. Anyway, next time when you want to use common search engines to find functions and features of our product, make sure to spell our product name correctly in order to get more meaningful results. Don’t search Ashay VMware backup, Ashay Hyper-V backup, or Ashay Office 365 backup again. 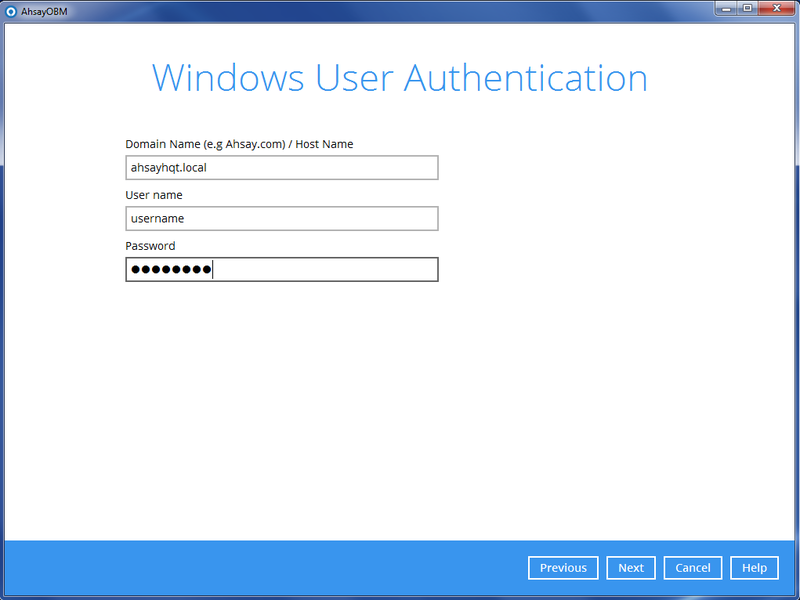 Ahsay brings you the AhsayOBM client backup software to provide a set of tools to protect your Office 365 user accounts. This includes backup and recovery of individual emails, contacts, calendars and other mail items in your Office 365 Outlook, files on OneDrive and SharePoint, with snapshots / versioning, and retention policy to protect even items that you may have accidentally deleted from your Office 365 user account. Below is the information extracted from our “Office 365 Backup & Restore Guide for Windows” for giving you an idea how you can select the contents in your Office 365 domain to backup to your preferred destinations through AhsayOBM client agent. If you are looking for more detailed information, please refer to that guide. 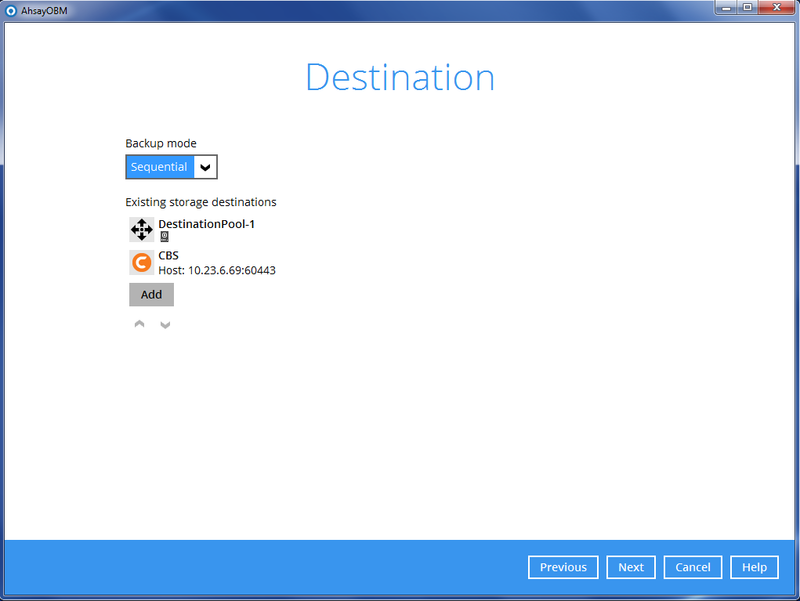 The latest version of AhsayOBM is installed on the remote backup machine which is connected to Office 365 and AhsayCBS backup server through internet. Follow the steps in the above mentioned guide to perform the following configurations first. This permission allows users added under the Members section of the Discovery Management group (refer to the previous section for setup) to back up and/or restore user item(s) not only for their own account, but also the accounts of other users in the same Members section. To grant permission for this feature, you have to add the Application Impersonation & Mail Search role by following the steps below. The Global Admin permission allow SharePoint account to list other account’s Personal Site and OneDrive in the backup source tree. So before using AhsayOBM to create backup set, please ensure the SharePoint account has already owned the permission in order to apply AhsayOBM to back up and/or restore user item(s) not only for their own account, but also the accounts of other users. 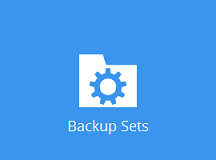 In the AhsayOBM main interface, click Backup Sets. Click the “+” icon next to Add new backup set. 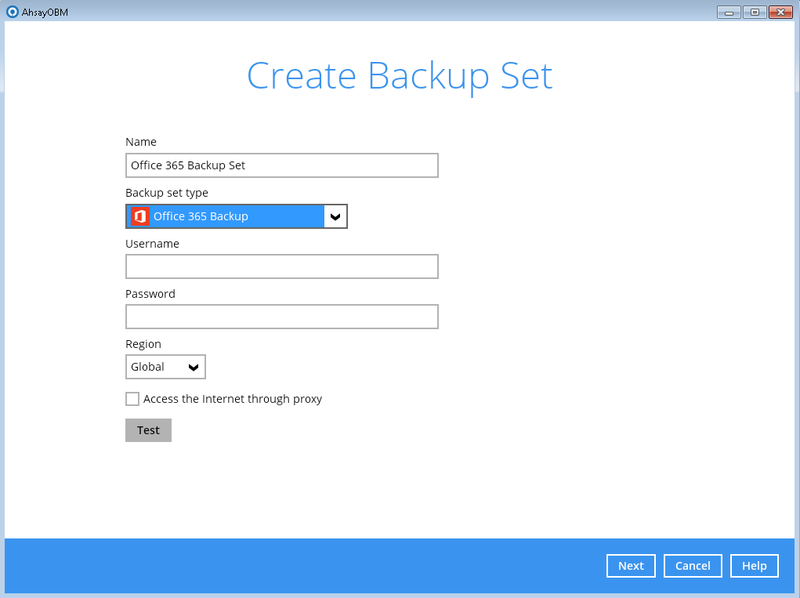 Enter a Name for your backup set and select Office 365 Backup as the Backup set type. Enter the user name and password of your Office 365 account, choose the region for the account and then press Test to validate the account. Test completed successfully shows when the validation is successful. Press Next to proceed to the next step. 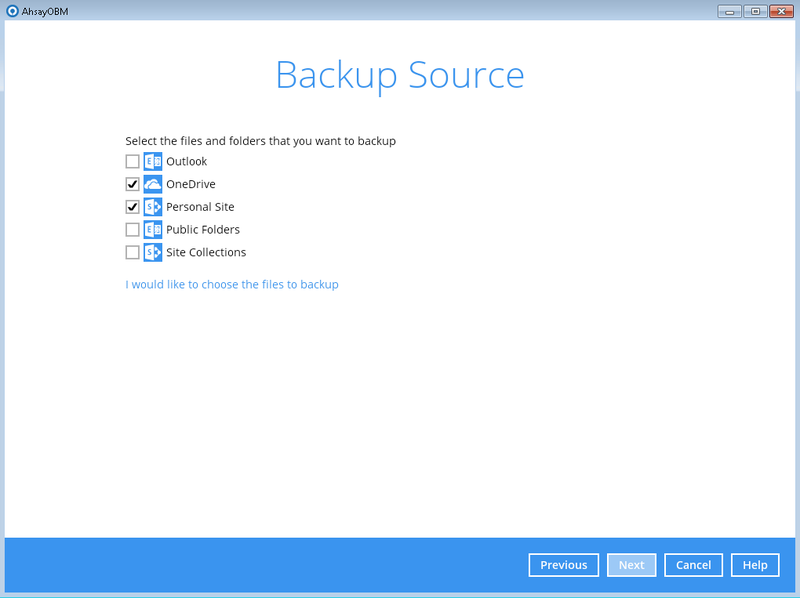 In the Backup Source menu, select the desired Outlook, OneDrive, Personal Site, Public Folders or Site Collections for backup. Check the box will back up all, i.e. check the box of Outlook will back up the mailboxes of all the users. Or click I would like to choose the files to backup to choose the detailed items to backup. 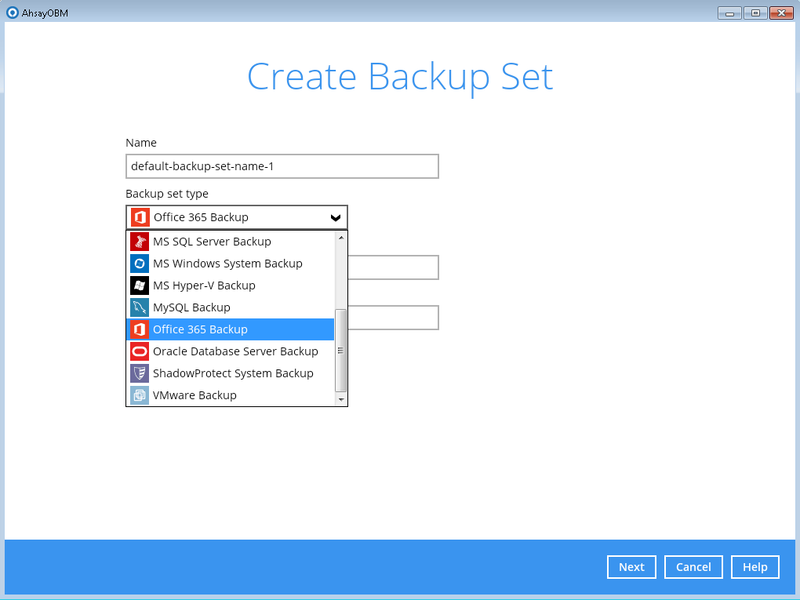 Enable the Show mails checkbox at the bottom left corner if you would like to choose individual items for backup. 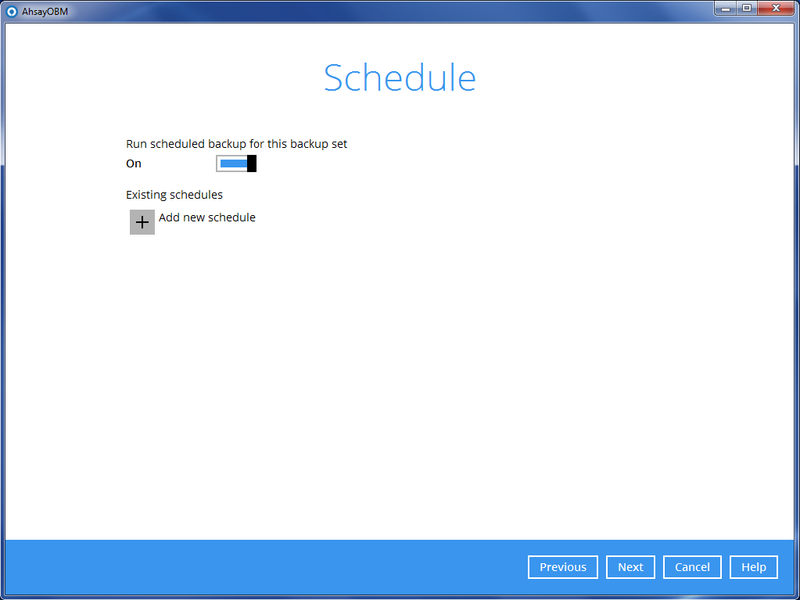 In the Schedule menu, configure a backup schedule for backup job to run automatically at your specified time interval. Slide the on/off button to turn on this feature, then click Add new schedule to add a new schedule, then click Next to proceed afterward. 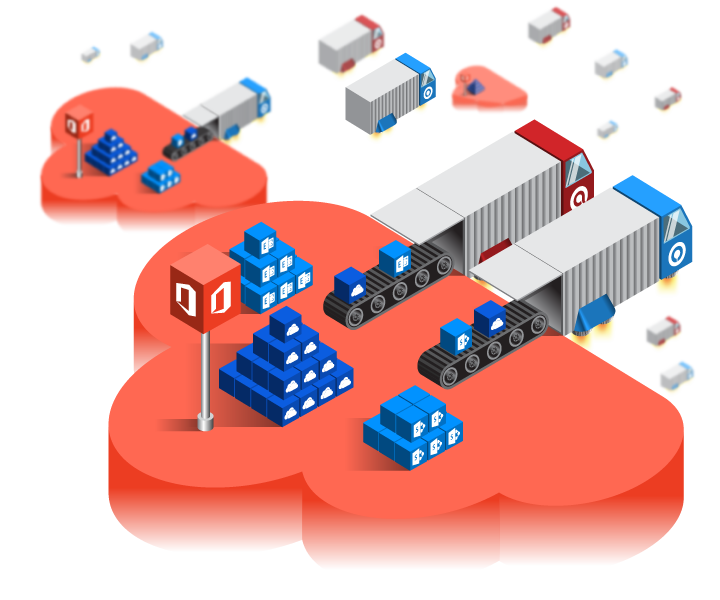 Single storage destination – the entire backup will be uploaded to one single destination you selected under the Destination storage drop-down list. 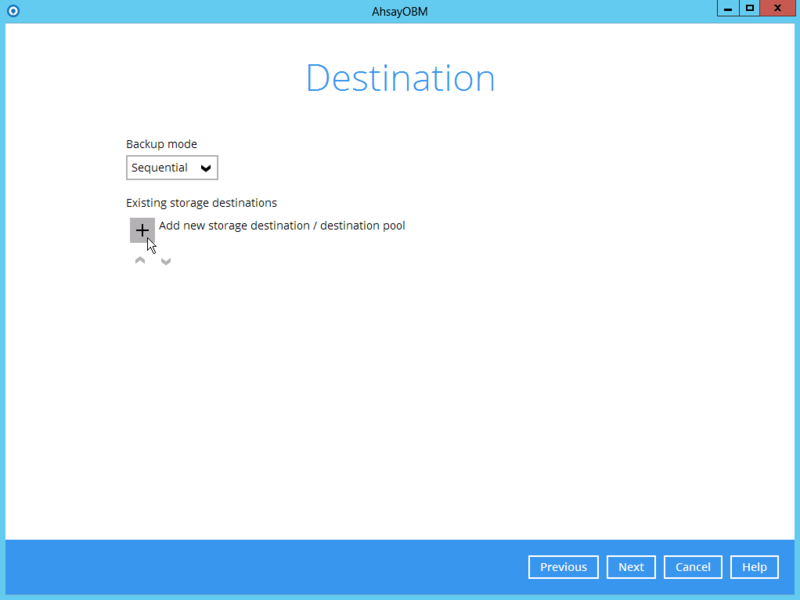 By default, the destination storage is selected as CBS. 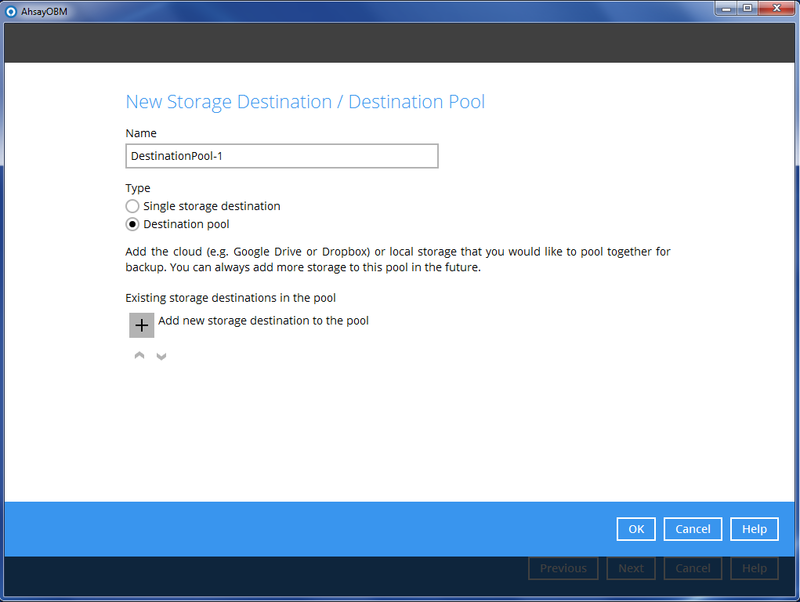 Destination pool – the backup will be spread over on the destinations you have selected. 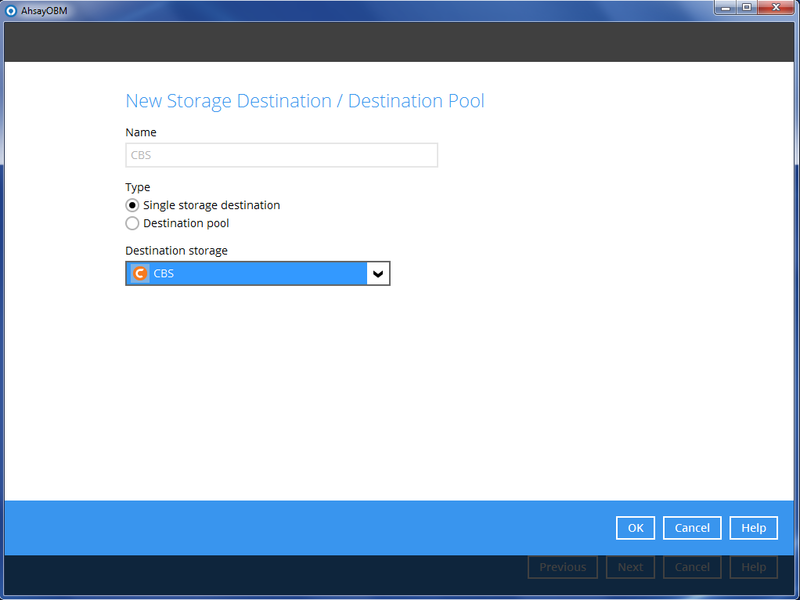 Enter a Name for the destination pool and then click Add new storage destination to the pool to select the desired storage destinations. 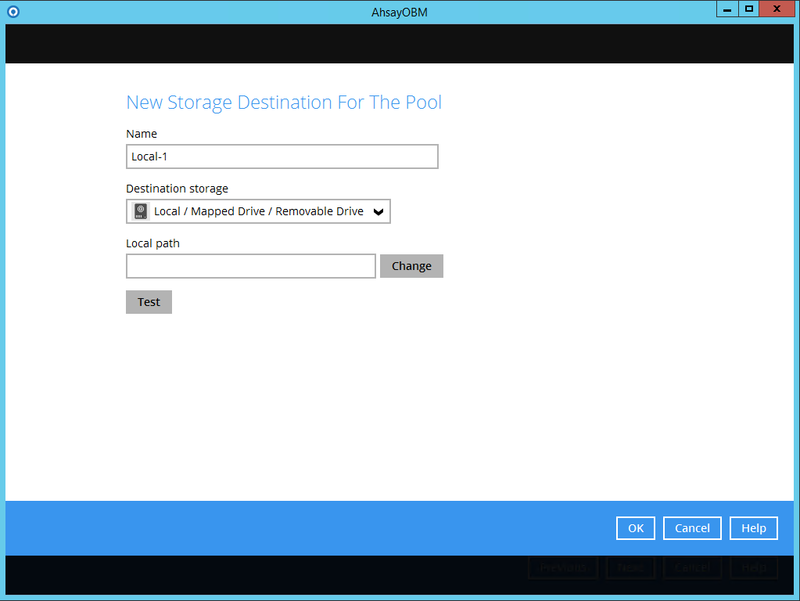 You can choose a storage combination of the Local/Mapped drive/Removable Drive, Cloud storage or FTP. Click OK to proceed when you are done with the settings. If you have chosen the Local/Mapped Drive/Removable Drive option, click Change to browse to a directory path where backup data will be stored, then click Test to validate the path. Test completed successfully shows when the validation is done. You can add multiple storage destinations. The backup data will be uploaded to all the destinations you have selected in the order you added them. Press the icon to alter the order. Click Next to proceed when you are done with the selection. 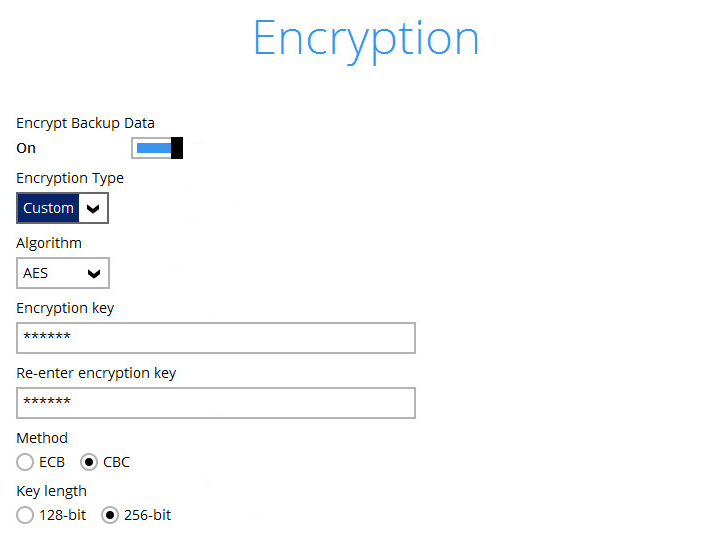 In the Encryption window, the default Encrypt Backup Data option is enabled with an encryption key preset by the system which provides the most secure protection. User password – the encryption key will be the same as the login password of your AhsayOBM at the time when this backup set is created. Please be reminded that if you change the AhsayOBM login password later, the encryption keys of the backup sets previously created with this encryption type will remain unchanged. Note: For best practice on managing your encryption key, refer to this Wiki article: http://wiki.ahsay.com/doku.php?id=public:5034_best_practices_for_managing_encryption_keyClick Next when you are done setting. 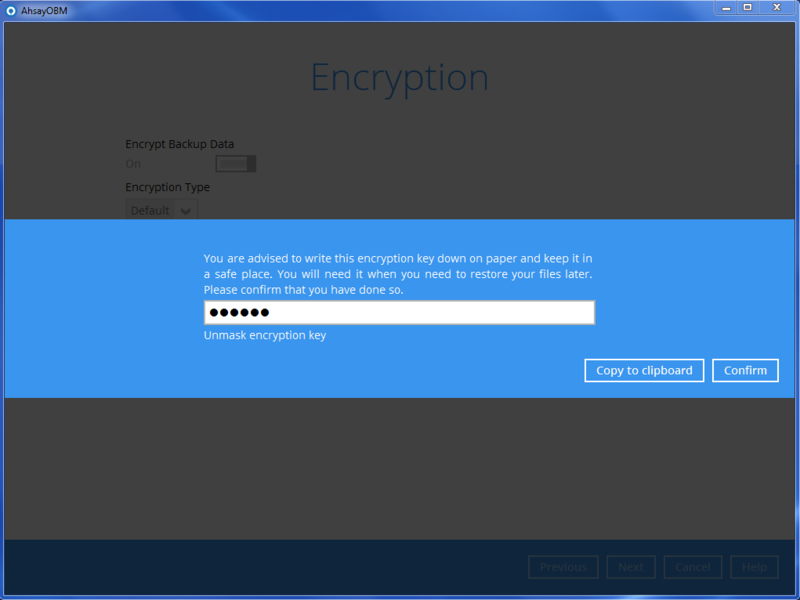 If you have enabled the Encryption Key feature in the previous step, the following pop-up window shows, no matter which encryption type you have selected. If you have enabled the scheduled backup option, you will be prompted to enter the User Name and Password of the Windows account that will be running the backup. 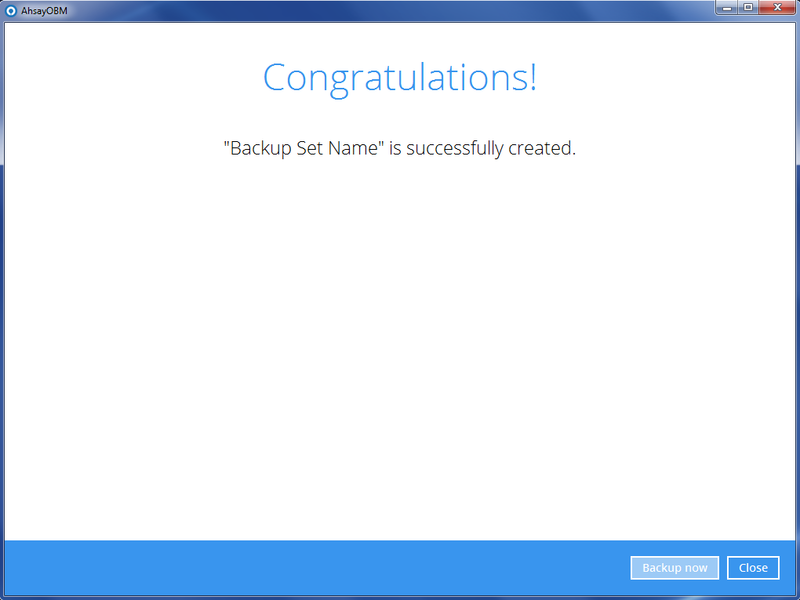 The following screen is displayed when the new Office 365 backup set is created successfully. Backup will be run according to your defined schedules. Now, you can click the “Backup Now” button to manually trigger a backup. It is very easy to use, right? 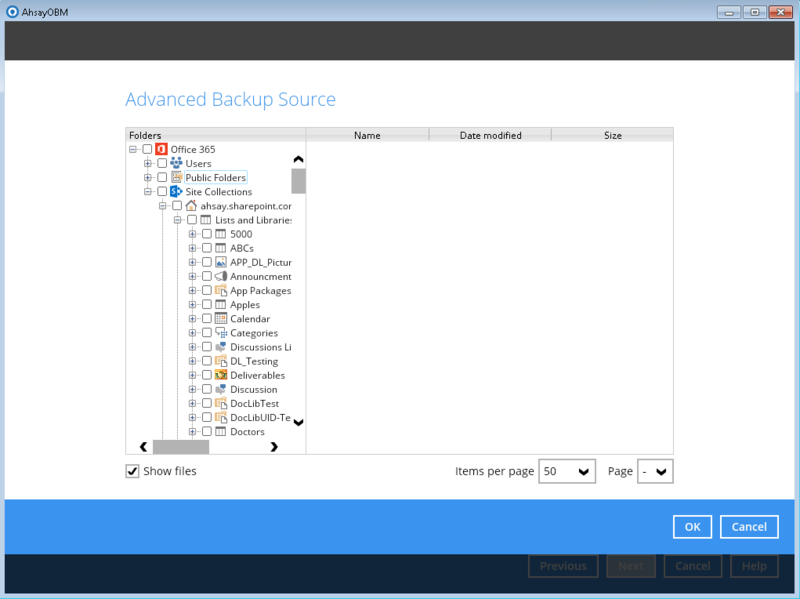 Ahsay Office 365 Backup and Restore Guide can be found in this Documentation section of Ahsay’s office website.